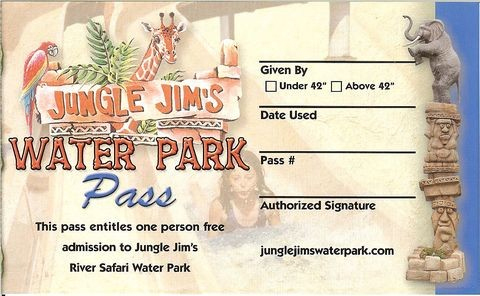 Jungle Jim's waterpark season pass is good for the entire season. Each season pass holder gets an ID card and can avoid lines by checking in at the mini-golf hut. Bring receipt to exchange for picture and have season pass card created. Non-transferable.